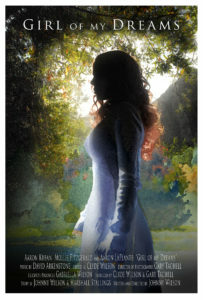 A short film “Girl of my Dreams” is the first project produced under ClydesTale Entertainmnet or CTEfilm. Edward Watson has been looking for something that can change his life. His challenge is to find what needs to change. Tonight he will search for answers in the most vast place anyone can explore, his own mind. 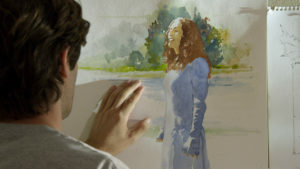 The concept for the film began in June 2012. The film maker had less than four months before starting a new job in which time this short film would see every stage of development, preproduction and production needed to wrap before then. It would take four years for the post production to be completed, with nearly every task from editing to visual effects being done by one person. In 2016, two more artists were brought on board for CG modeling, animation and matte painting. The finishing touches were added with the services of a professional sound mixer and colorist.